What a delightful little film! The animation was excellent, the characters charming, and the story great to boot! 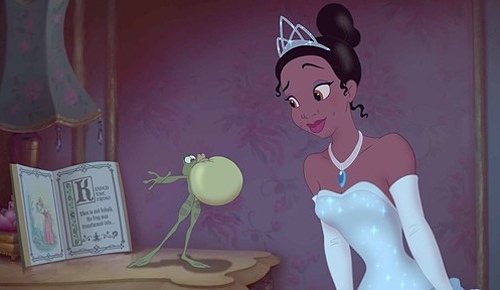 I genuinely loved watching The Princess and the Frog and would gladly watch it again soon. The animation was certainly Disney. 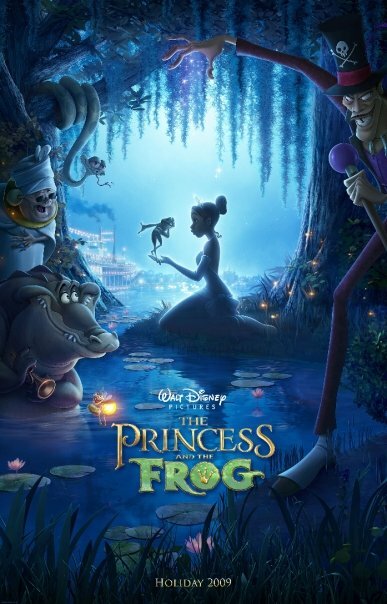 The characters were very reminiscent of other Disney movies, and yet they still all had a distinctive look about them that gave this film a separate feel. The hand-drawn animation was also a welcome addition. I mean, don't get me wrong, I love computers. But there is something magical about old-fashioned animation! The story too, was wonderful. Sure, it was typical Disney in some ways. But it still carried some wonderful themes! Every princess wants her prince, and once again the "undeserving" princess wins the prince (hope I'm not spoiling anything here). But what is wonderful is that the prince is himself trying to get the rich girl, because he's an undeserving prince. Sure he has a title, but he has less money than anyone in town! The film has the typical message of follow your dreams and never give up on them, but adds a nice American twist that dreaming isn't enough. You have to still work for what you want. And then the film one-ups itself by adding that more important than any dream you're working for, is love and others to come home to and share life with. The heroine, Tiana, has no problem dreaming, and certainly no problem working for that dream, so hard I don't know when she sleeps! But she doesn't know how to keep those things from blinding her to the true priorities in life. She's so focused on her dream, that she doesn't even recognize that the prince wants to marry her. That's certainly not Disney! A princess too absorbed in work to notice a prince right next to her?! There was also the typical, know thyself to know what you truly need, and not what you want. But oh how true it is! Too often we are so absorbed on what we want that we neglect the necessities of life. May my desires never cloud my vision as to what is truly important and separate me from those I love! Overall, this film fits right alongside many other Disney classics. It was a little dark and creepy at times, not sure how the children handled it, but it was also full of wonderful music and songs and a touching "fairy tale." Keep it up Disney!